Possibly limted edition, they are limited to this box but unsure how long they will be on sale. A new chapter in Ork history is beginning – and Speed Freeks is its vanguard. Over the past few weeks, you guys have patiently waited as we’ve revealed the new Codex: Orks, new Ork buggies and Speed Freeks. Well, the wait is almost over – next week, Speed Freeks will be available for you to pre-order! 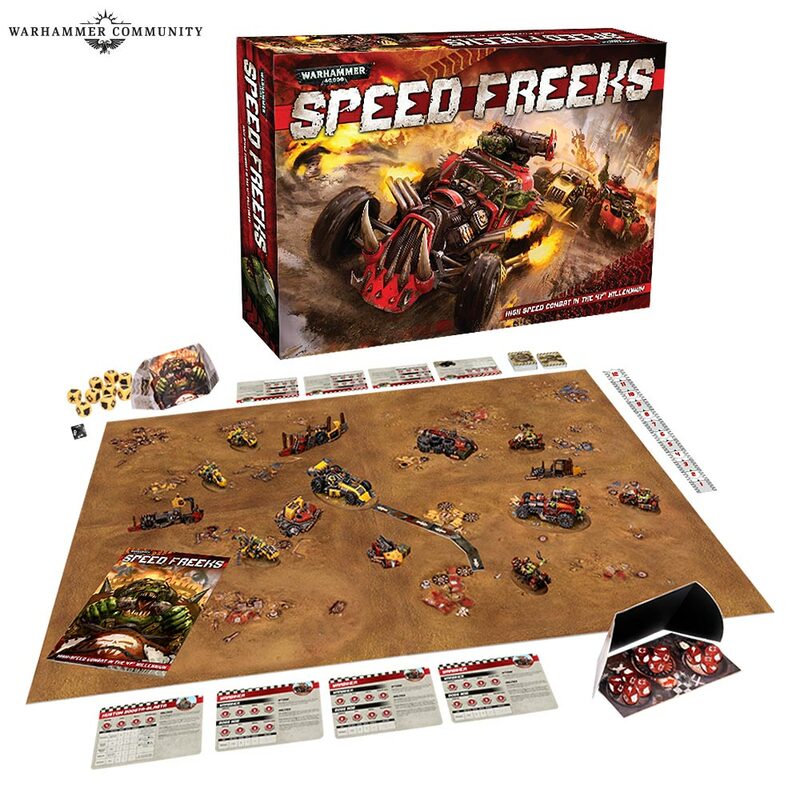 We’ve covered Speed Freeks before, but to recap, this high-orktane racing game pits you against a friend in brutal death races on the surface of Vigilus – or any other world where Orks, Meks and their madcap inventions can be found. In the box, you’ll find the rules, tokens and templates you need to play, plus six Warbikes and two of the new Ork buggies, exclusive to this set. Speed Freeks is fully compatible with all the other new the Ork buggies, too, meaning you’ll be able to expand your game to feature Megatrakk Scrapjets, Deffkilla Wartrikes et al with ease. For the models inside alone, the set is a cracking deal – basically, it’s a great way to start collecting your Speedwaaagh!, with the added bonus of being a brilliant standalone game. Events - are from web store, shop opening, anniversaries etc. Forge world - are the models produced by GW's sister company for events etc.